Lahaul has comparatively little rain during the monsoon. 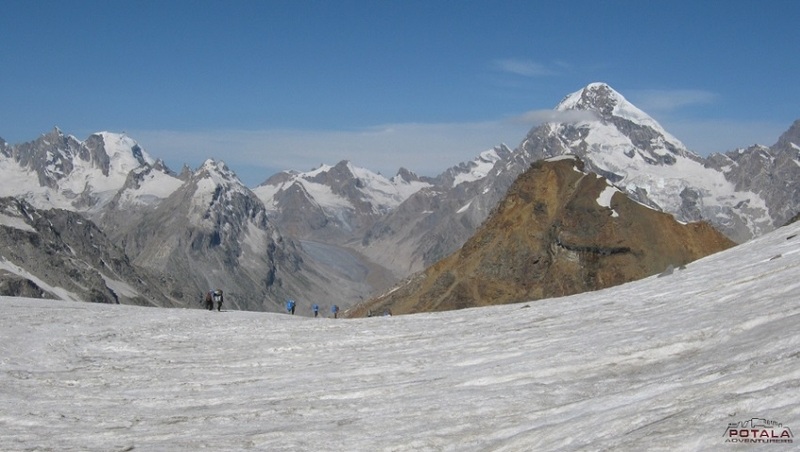 A rain shadow area suitable for trekking especially during July and August. 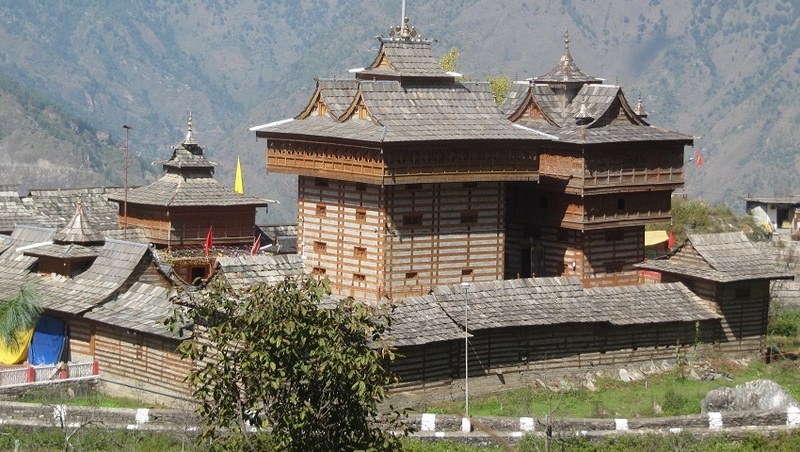 This tour takes us to Central Lahaul especially in Gahar and Tinan valley. The stronghold of Buddhist communities. The Rangcha Gali signifies to these people as secret parikrama as much as close to Holy Kailash. Each year thousands of pilgrimage coming from all over the Himalayan regions perform Kora of this Drilbu Ri. 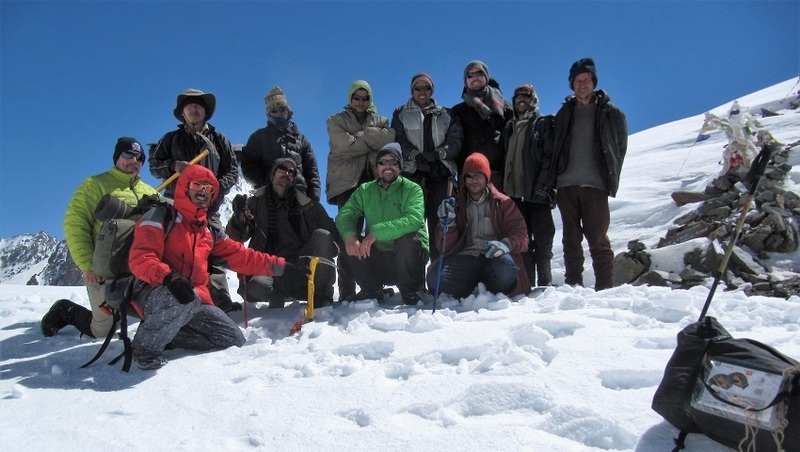 From trekking point of view Rangcha Gali presents a spectacular sights and view of Gangstang, Kyarkyoks, Lady of Kyelang, Keorang peaks and the Shikar Beh range along the left bank of the Chandra are most favorably spots to explore. Beginning to trek from Yurnad, the trail goes through the barley fields and green slopes. Passing through small villages to Kardang. Finishing Kora at Khindang, we drive to Labrang and climb up to Gaddi gud, a shepherds favorite destination. Finally at glaciated lake of Ghepang Tso. Located at the North side of Ghepang peak. Until now this lake is known as Aliyas Lake. 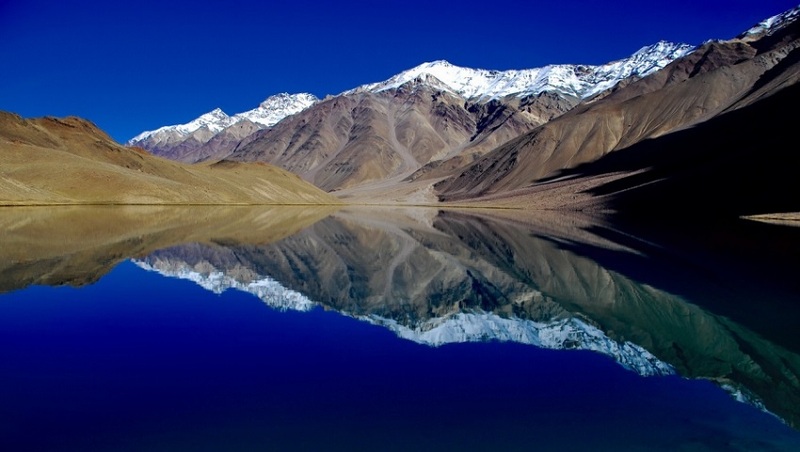 Long time ago a Spanish trekker visited this lake and named it Aliyas. This lake should have a local name as Ghepang Tso / Ghepan Tso. Which is thoroughly accepted by the young villagers of Teling - Labrang. Day 1: Manali – Rohtang pass (3,980 m) – Kyelang (3,100 m) - Yurnad drive 6 hrs, Trek to Lapchang - Barbog. Day 2: Trek to Rangcha gali pass (4,400 m) – Khindang (3,800 m), 7-8 hrs. Camp. Day 4: Trek to Ghepang Tso 4,030 m, 5-6 hrs. Explore the lake and glacier. Day 1: Manali – Rohtang pass (3980m) – Keylang (3100m) - Yurnad drive 6 hrs, Trek to Lapchang - Barbog. Early departure from Manali to Kyelang. Starting a hike from Yurnad, we descend to Bhaga River and climb through fields of barley to a small and beautiful village of Lapchang. Following the canal with spectacular view of Kyelang at a distance, we arrive at Barbog. 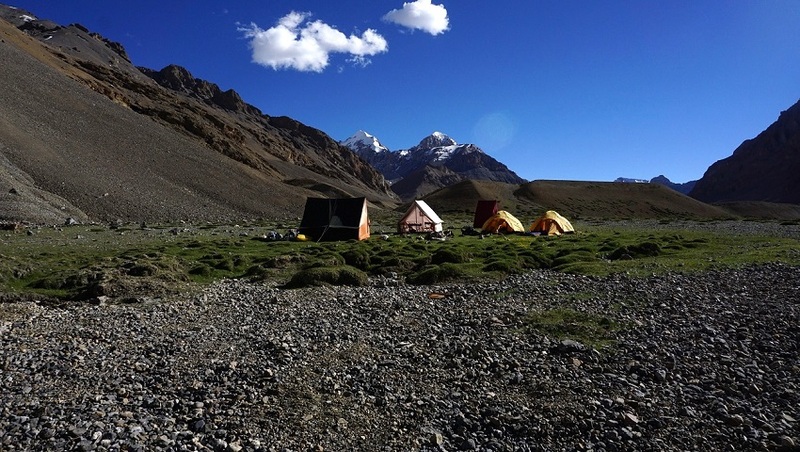 Camp near Kardang gompa. Day 2: Trek to Rangcha gali pass (4400m) – Khindang (3800m), 7-8 hrs. Camp. A climb begins from camp along the Barbog slopes, famous for winter ski. Kyarkyoks peak and Bhaga River valley as far as Tod valley in sight. Finally a steep climb shortly before the pass and through tiny gully to the pass. Magnificent view all around. A descend along the Gondla slopes to Khindang village. Beautiful campsite. Today we drive for an hour to Labrang and climb to Gaddi gud campsite. Across the Chandra River, the stunning view of Sissu fall and the Shikhar Beh range are most favorable spots to see. Overnight camp. Along the slopes for hours, the trails are mostly used by shepherds and at some point, it can be tricky. Arrive at Lake surrounded by the glacier. Overnight camp. Today retrace back to Gaddi Gud by same way and take trail that leads to Teling village. We camp short before Teling gompa. Day 6: Drive to Manali. 5 hrs. Today drive back to Manali that could last for 5 hrs. Trip ends. · All camping facilities: Mess tent, camp chairs, and table. · Camping fee, trekking permits, and fee, park fee. · First aid medical kit, Oximeter to check pulse, heart rate and oxygen saturation at higher altitude. Day 1 Manali – Rohtang pass (3980m) – Keylang (3100m) - Yurnad drive 6 hrs, Trek to Lapchang - Barbog. Early departure from Manali to Kyelang. Starting a hike from Yurnad, we descend to Bhaga River and climb through fields of barley to small and beautiful village of Lapchang. Following the canal with spectacular view of Kyelang at a distance, we arrive at Barbog. Camp near Kardang gompa. Day 2 Trek to Rangcha gali pass (4400m) – Khindang (3800m), 7-8 hrs. Camp. Today we drive for an hour to Labrang and climb to Gaddi gud camp site. Across the Chandra River the stunning view of Sissu fall and the Shikhar Beh range are most favorable spots to see. Overnight camp. Along the slopes for hours, the trails are mostly used by shepherds and at some point it can be tricky. Arrive at Lake surrounded by glacier. Overnight camp. Day 6 Drive to Manali. 5 hrs. Today drive back to Manali that could lasts for 5 hrs. Trip ends.